Adventures are about new perspectives, among other things. On the river, what better perspective than at water level in the seat of a kayak? Whitewater kayaks are tricky instruments to learn. That is when the sit-on-top sea kayaks and inflatable kayaks are perfect. They are comfortable and forgiving. No Eskimo rolls are necessary. If you are planning a day on the whitewater, kayaks are easily substituted for a spot in the raft. An experienced guide will be right there in case you fall off your kayak and need a hand. Kayaks and canoes are also available for rent at daily and weekly rates. If you want to learn the art of true whitewater kayaking or swift water canoe, week long lessons are a great way to be immersed and try something you have always wanted to learn. Yellowstone National Park is the perfect backdrop for kayaking fun, whether for a day, a week or a lifetime. Traveling by horse or mule is the best way to see the reaches of Yellowstone National Park that are seldom seen by most visitors. 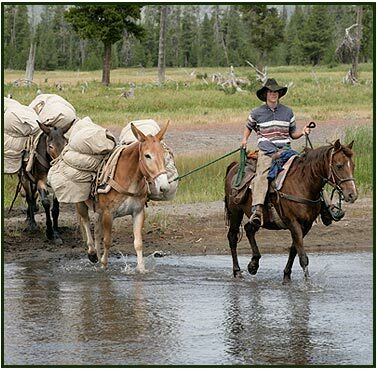 There are many types of horse, mule and llama trips available to the Yellowstone bound traveler. Half day and full day rides are satisfying, but the overnight rides are when the fun really starts. Permitted outfitters are everywhere offering every type of horseback adventure. Cattle driving at a dude ranch, hunting pack trips, fishing oriented lake and river routes and sightseeing/photography focused trips are all overnight adventures worth checking out. Horseback riding is part of a Montana way of life that still is alive in Yellowstone National Park. Lay your eyes on some of the most beautiful scenes in the national park system with breathtaking waterfalls, geysers, hotsprings and wildlife. The beauty of Yellowstone awaits. 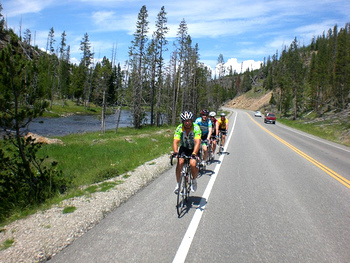 Bicycling offers the adventurer a refreshing perspective from the alternate touring methods in Yellowstone National Park. There are several designated mountain bike trails and some gravel roads designated for two-way bicycle traffic and one-way vehicle travel. The fresh air and soft hushed sound of your tires on the earth are a nice change from the hustle and bustle of other methods on the beaten path. It is recommended to check the park's rules before planning your bicycle adventure for any restrictions. Guided bicycle tours are also offered. Bicycle and helmet rentals are available as well as bicycle repair shops. Several sightseeing opportunities are available on the bicycle pathways. For the mountain biking enthusiast, single track trails are speckled all over in surrounding areas of the park. Yellowstone National Park is a photographer's nightmare. So much beauty and only 24 hours in a day! The park is teeming with picturesque photo opportunities. 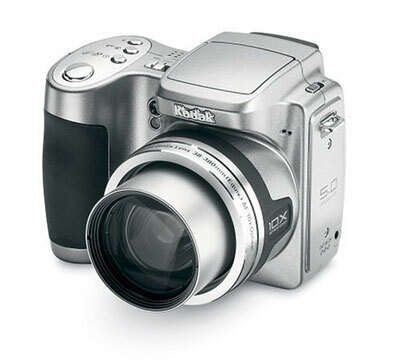 Travelers to Yellowstone will most likely have their personal cameras nearby on their journeys. Hopefully the opportunist photographers will see some wildlife to show their friends at home. You'll have better odds at bringing home the coveted photographs of wild animals on a wildlife photography tour. Summertime tours include the backcountry bear viewing photo tour, the full day Yellowstone park tour and a unique guided backcountry hiking expedition with photography as the focus. In the winter, the wolf and wildlife viewing photo tour are extremely popular. What a great opportunity to have the inside information on where the wildlife is located and the advantage of seeing them up close with high powered photographic equipment. This is a great way to get a guided backpacking trip with the added bonus of being led by a naturalist, photographer and experienced guide who can help you take postcard worthy photographs. Rangers are like the glue that holds Yellowstone National Park together. 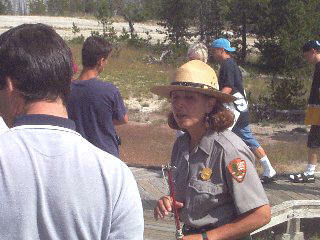 They are educators and protectors of both the park and its visitors. Every day there are ranger led talks and/or walks in Yellowstone National Park. Anything you would want to know and things you never knew you wanted to know are available through ranger led activities. Discover how the hot springs, mud volcanoes and geysers work on short ranger led walks. Take a stroll with a ranger to watch and learn about wildlife, geology, history and astronomy. Enjoy an evening program around a campfire and listen to stories and interesting tidbits about Yellowstone Park. 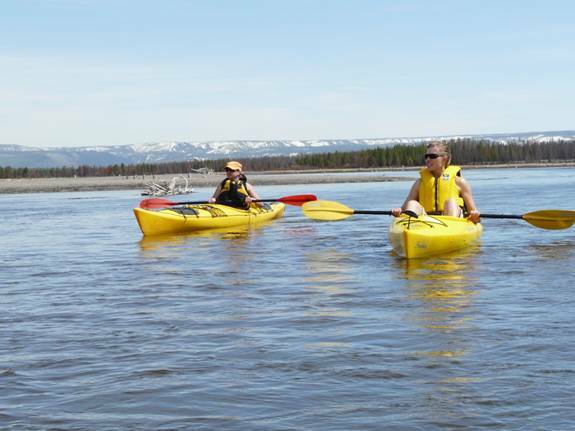 Explore the colorful canyon of Yellowstone River or take a interpretive cruise on Yellowstone Lake. From corner to corner of Yellowstone National Park there are rangers ready to answer your questions and teach you about this unique geologic wonderland. Wildlife safaris and Yellowstone park tours are a great way to see the park with the expertise of a national park naturalist or park expert. The safari will take you to the gathering places of the many animals in the park. Educational materials and spotting scopes are provided while you learn about animal behaviors and interactions. 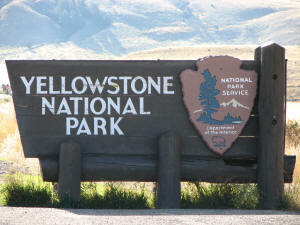 The Yellowstone park tours also touch on the animals in the park but mostly the natural geologic wonders. Geysers, mud pots, hot springs and thermal pools are the highlights of this tour. The Yellowstone park tour focuses a lot on what is underneath the park that has manifested the phenomenon that you see today. These day long educational tours will give you a new perspective on Yellowstone National Park. Sign up ahead of time to ensure a spot on these popular educational tours. 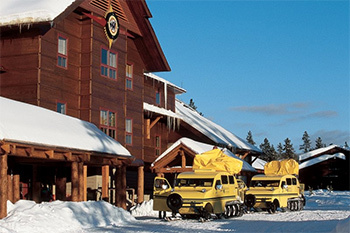 Some people don't realize that Yellowstone National Park is a great place to visit in the winter. When a fluffy blanket of snow is laid across the park terrain, the winter visitors know its time to play. A very popular activity in Yellowstone is snowmobiling. Un-guided off-trail snowmobiling is prohibited, but the guided trips are raved about by participants. Winter vehicle travel inside the park is sparse and limited to between the north and the northeast entrances. There are 180 miles of groomed snowmobiling routes in the park and this is the only way to travel to any part of the park south of Mammoth except by snowshoes or cross country skis. Skiers and snowshoes are also permitted to use any unplowed trails in the park. This would be a truly amazing way of experiencing solitude for the adventurer who can never seem to find isolation. The rivers in Yellowstone National Park offer ample opportunities for a variety of river floats. Rafting is a great way to see the park and learn about it while also having a thrilling adventure. The lower Yellowstone river is bigger water with rapids rated at class III/IV. Everybody needs to be over 14 on the lower stretch. The upper Yellowstone River is fun for the whole family with rapids rated at class II/III. The geology will astound you in these canyons and corridors. Wildlife sightings are very common along the river's edge. Plan for a half day adventure or a full day with lunch on the shores of the river. Whole day floats can be planned around your group's ability level, from a raging whitewater day to a leisurely scenic float. Multi-day river trips are available and are often paired with horseback riding. Full day trips can be split into rafting and horseback riding as well. 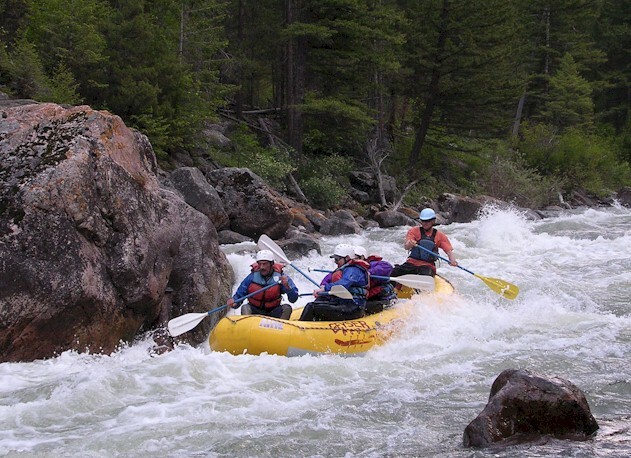 Test the waters of Yellowstone National Park with an exciting rafting adventure.